I place two oversize valises (like attache cases) into my fireplace. I place them side by side like books on a shelf. I put wood and some other combustibles next to them in order to burn them up. The fire roars but the valises remain un-burnt and untouched. I am amazed and bewildered that they are not consumed. I can often associate meanings to my dreams but with this one I am clueless. "Isn't it strange, we used to read each others thoughts." Cary Grant (as Nikkie Ferrante) to Deborah Kerr as (Terry McKay) in Affair to Remember. I would need some personal associations to provide an accurate interpretation. Here are some observations that might set you on the right track. From the perspective of Gestalt therapy the valises may represent your personal life baggage and "unfinished business." Book burning has been commonplace in history, the great ancient Greek-Roman library at Alexandria was destroyed by fire. In more modern times the Nazi's resorted to book burning as a repressive form of social mind control. The dystopic film Fahrenheit 451 based on the novel of the same name by Ray Bradbury is specifically about censorship and book burning of "illegal books". A new version has been in the works, however has yet to get off the ground. If from a poetic perspective a book is like your life story, your memory, then the idiomatic reading of your dream is saying that people (including yourself) can be read like a book. From a Judeo-Christian perspective, we are told that our deeds are recorded in the Book of Life. 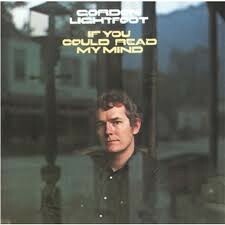 From a popular music perspective Gordon Lightfoot's If You Could Read My Mind tries to deliver this sentimental and poetic message to his audience.